The route crosses 11 passes, gains more than 12,000 metres in height and is a strong contender for the title of Most Beautiful Walk in Europe. You will discover delightful villages and remote hamlets, wander flower meadows and forests, skirt exquisite tarns that turn mountains on their heads, and clamber beside glaciers. The way explores lonely stone-filled corries, with marmots along the boulders and ibex on the heights, and provides a surprise around every corner. This new edition now includes the exciting two-day Europaweg - a true high-level path that carries the Haute Route way above the Mattertal and into Zermatt - a worthy conclusion to a great trek. 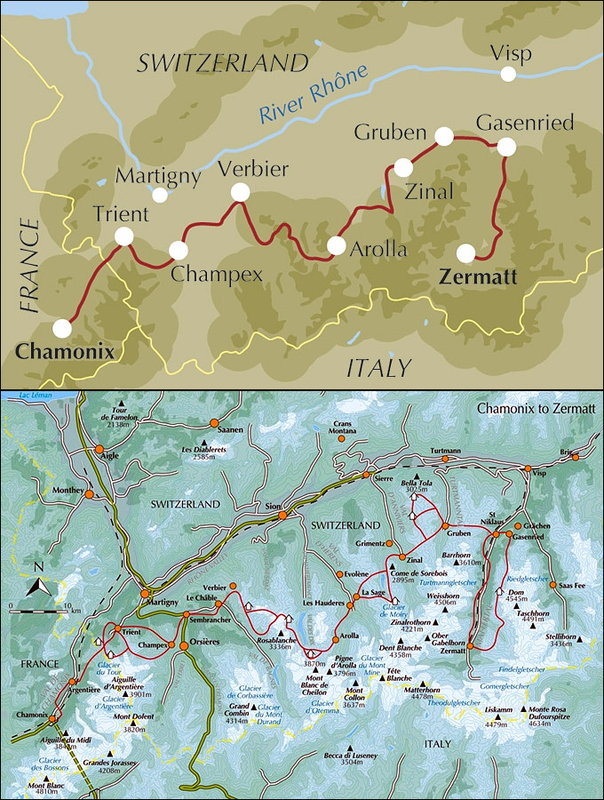 Detailed route descriptions are accompanied by sketch diagrams and gradient profiles mapping the route in addition to colour photographs which illustrate some of the highlights of the Alps. 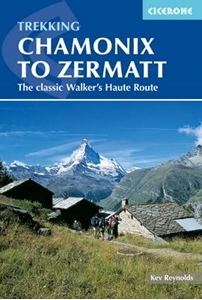 The guidebook also features essential practical information on travel to and from Chamonix and Zermatt, as well as information on accommodation in alpine villages and mountain refuges, trekking safety, itinerary planning and how to best plan and prepare for this challenging but rewarding trek.